Each Saturday we offer a ‘Fire Lighting’ demonstration of selected wood burning stoves and fireplaces ( between 9am and 10am ). An appointment is essential for a ‘Fire Lighting’ demonstration. If you can’t see your stove or fireplace listed, it may still be possible to take you through a ‘Non Live’ demonstration followed by a live demonstration on a similar fire. Please ask for details. 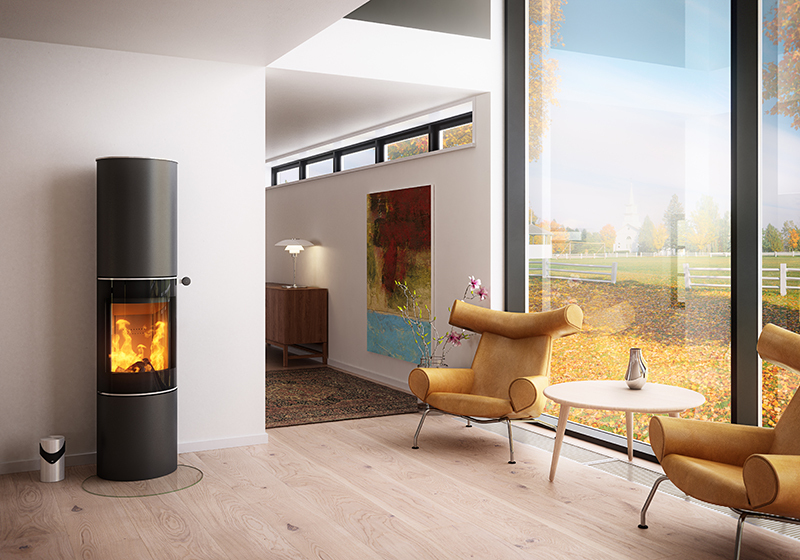 The Q-Tee 57 wood stove from Rais has a black full glass double glazed door. The demonstration model is DEFRA approved. 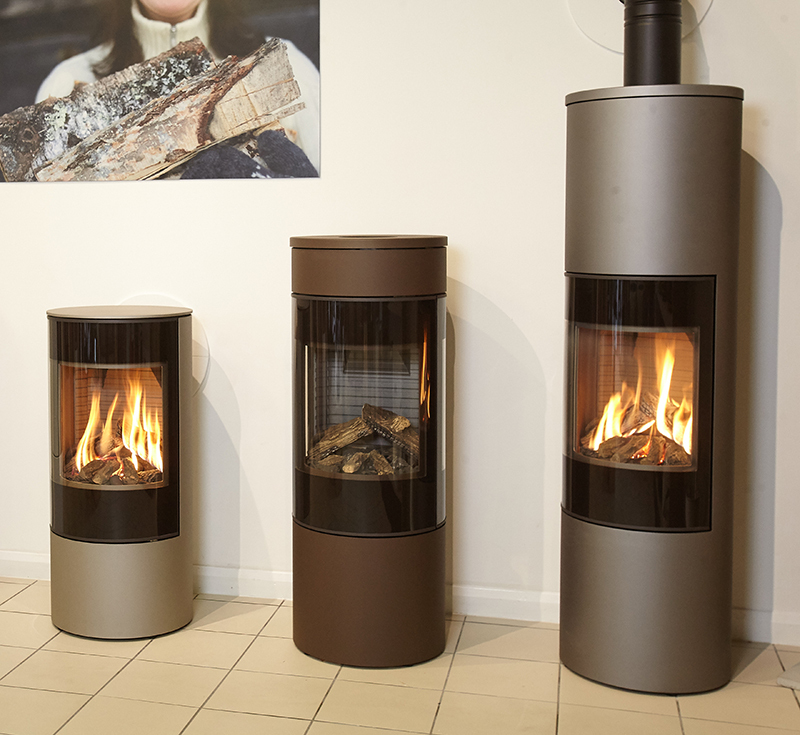 Here is RAIS' new suggestion for a small, functional and simple stove with a cubist look. Q-Tee typically matches a minor heating need and small rooms. Common sense and classical design. An almost cute stove which gives a room soul. The stove has an air-cooled and a sturdy closing system. Also a shaking grate and an ash tray. You can choose the basic model and place it on the floor or on a plate - or you can emphasise the stove by placing it on a bench or e.g. a concrete base. Furthermore, Q-Tee is available n three heights 57 cm, 65 cm and 85 cm. Available with glass door or steel frame. The stove is available with top or rear outlet for the flue duct. Air-System is also available for Q-Tee. 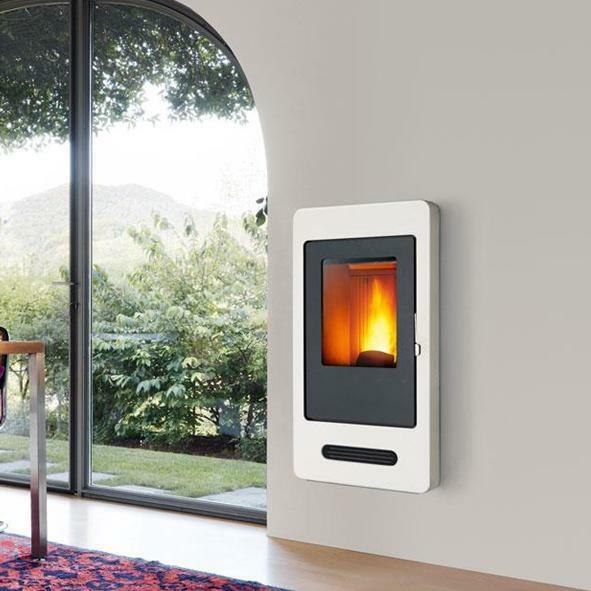 The Rais Q-Tee 2, designed to give the consumer a stylish up to date look with the largest possible glass area, coupled with one of the highest efficiency ratings and the simplest of controls. Features include an air cooled handle, built in natural convection system and a cast iron grate which can allow wood and smokeless fuel to be used together or separately, taking up to an impressive 17 inch (430mm) long log. 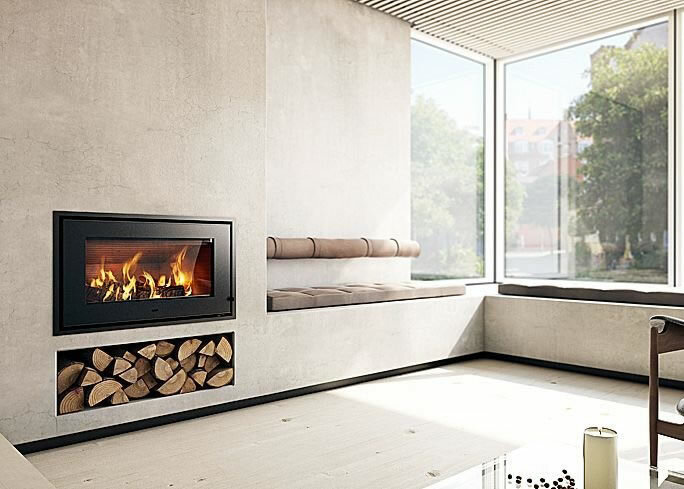 Featuring a large window which offers an absolutely spectacular view of the fire, the Q-TEE 2 C combines elegant RAIS functionality with outstanding performance and efficiency. 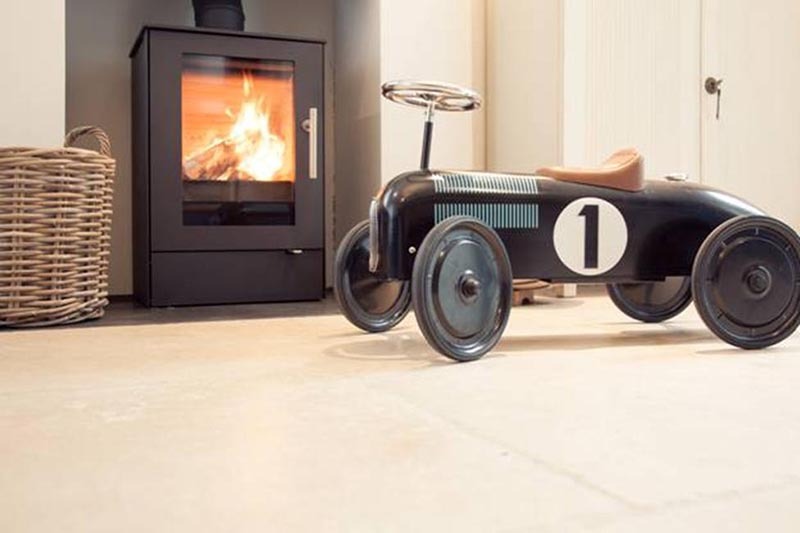 This DEFRA exempted wood burning stove with excellent environmental credentials also has the added benefit of being suitable for occasional multifuel use. This is the absolute ultimate in crisply executed Danish product design. The Rais Juno offers supreme heat storage. Its 388kg mass includes 255kg of soapstone which makes the stove capable of accumulating enough heat during combustion to maintain heat emission throughout the night and still be at a temperature of 60°C next morning! To achieve this remarkable feat, the stove simply needs to be kept burning nice and hot until bedtime. When under fire, the stove combines convection with heat storage. It is available with rotary base offering an optimal view of the fire from any angle. JUNO can also be installed with direct air supply and is ideal for well insulated low-energy houses. 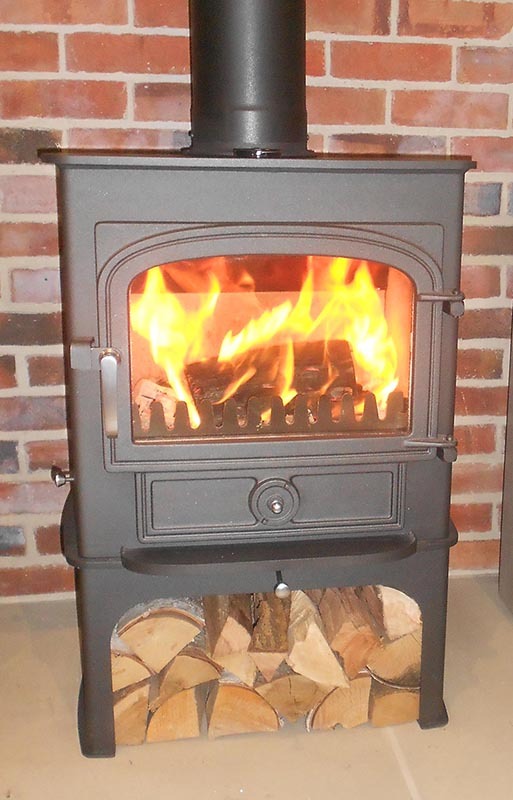 The Clearview Vision 500 Flat Top Multifuel Stove was the original Defra approved wood burning stove in the UK. (DEFRA Approved version available). 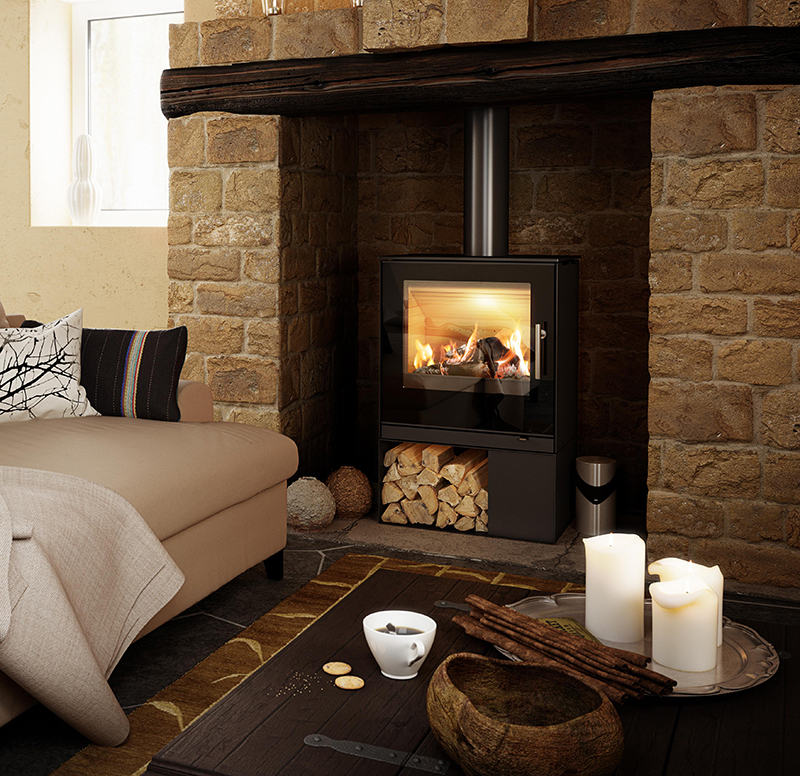 The Vision 500 has a large single door for uninterrupted fire view, a deep firebox taking 15" logs with ease, integral multi-fuel grate and the flat top has a good cooking surface. It can heat your water - if the optional 10,000 BTU boiler is added. Other features include, interchangeable top and a rear flue adaptor and a brass sleeve for the handle. 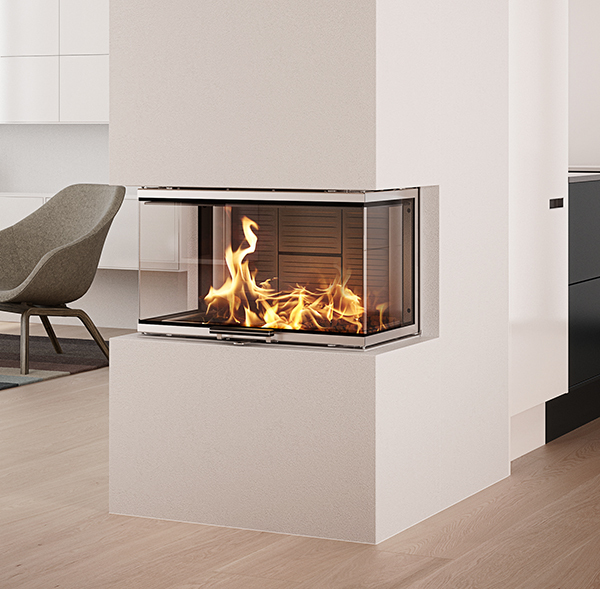 Helsinki Panoramic island fireplace by Piazzetta, with electronic rise and fall glass. Stunning! 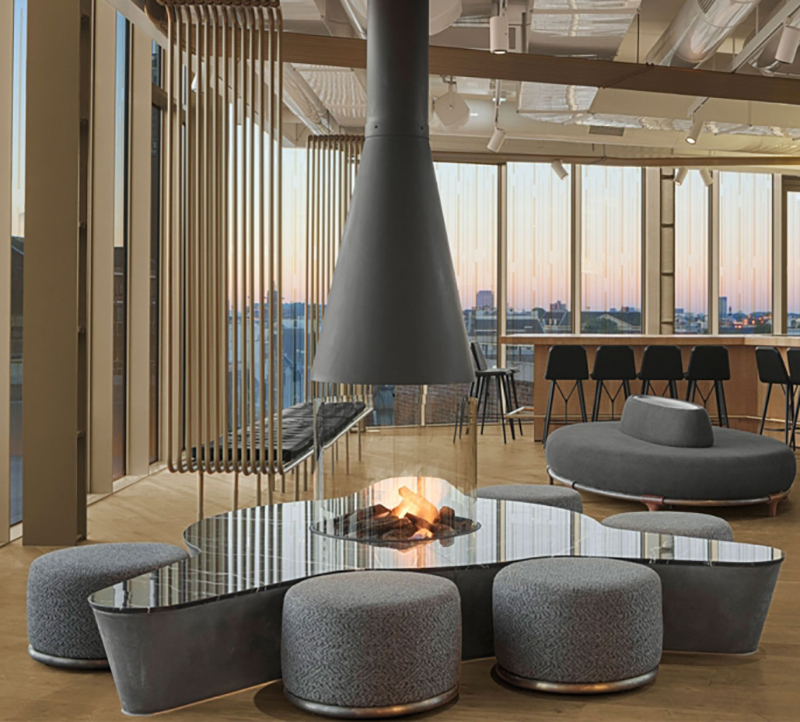 The Helsinki is part of the unique panoramic collection of fireplaces, offering a 360 degree view of the fire. Viewed from any angle, the glass and beautiful majolica cladding have been cleverly designed for today's modern, open plan living. 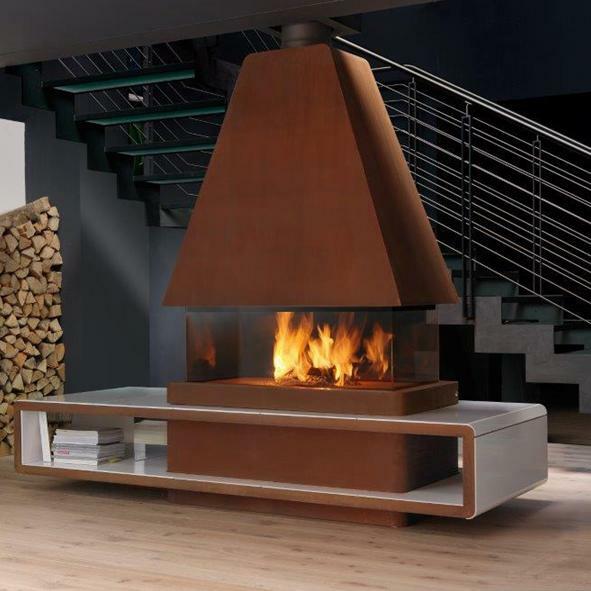 Get more information about the Piazzetta Helsinki Panormic wood burning fireplace. The Rais VISIO range embodies the features which together make the perfect inset fire – DEFRA exempted, Danish quality manufacturer, stunning minimalist design, sliding rise and fall door, 80% efficiency, crystal clear infrared glass and optional wide installation frame. One day all inset fires will be built this way! 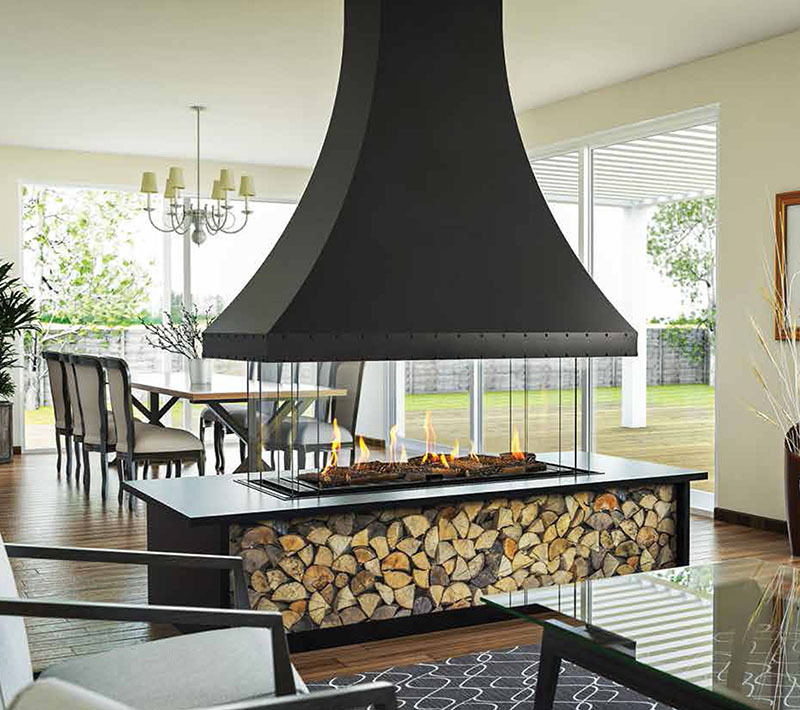 Featuring a three-sided all-glass rise and fall door which offers a totally unobstructed view of the fire, the sublime and elegant Visio 3 is the closest you can get to an invisible stove - all you see is the fire. The tasteful dark stained oak handle and discreet stainless steel frame perfect the overall impression. 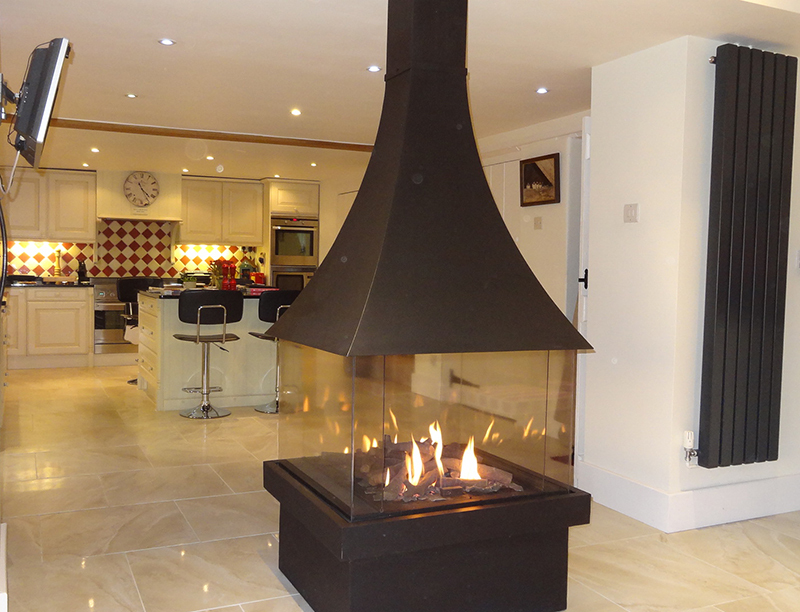 With a heat output of 5-9 kW this luxury fire is an ideal fit for the typical UK home. The fire is available with black or stainless steel door frame and optional matching wide cover frame. 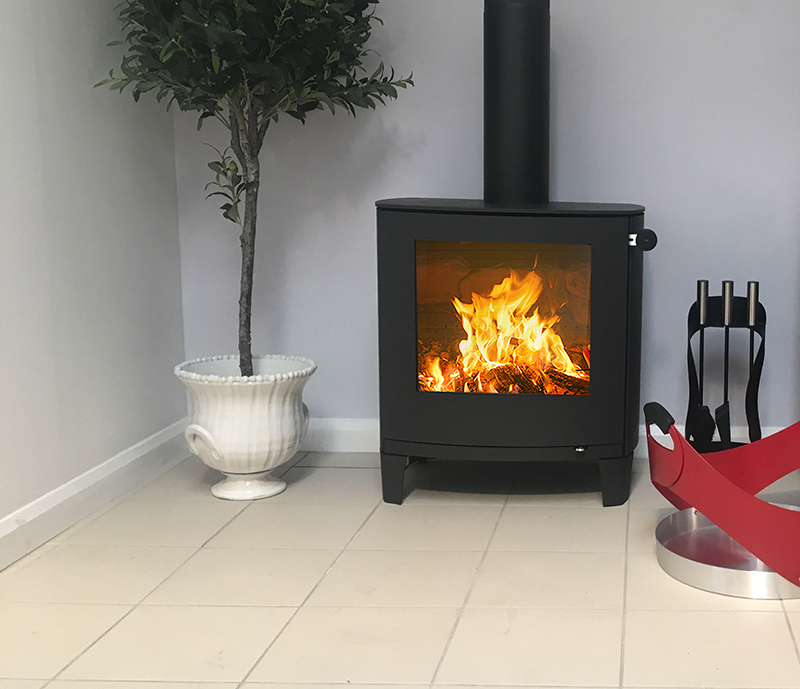 This new convection inset stove has a closed convection box and a roomy combustion chamber which is able to burn larger sized logs. It has a simple, minimalistic design with a discreet stay-cool handle. The glass door can be white or black.. 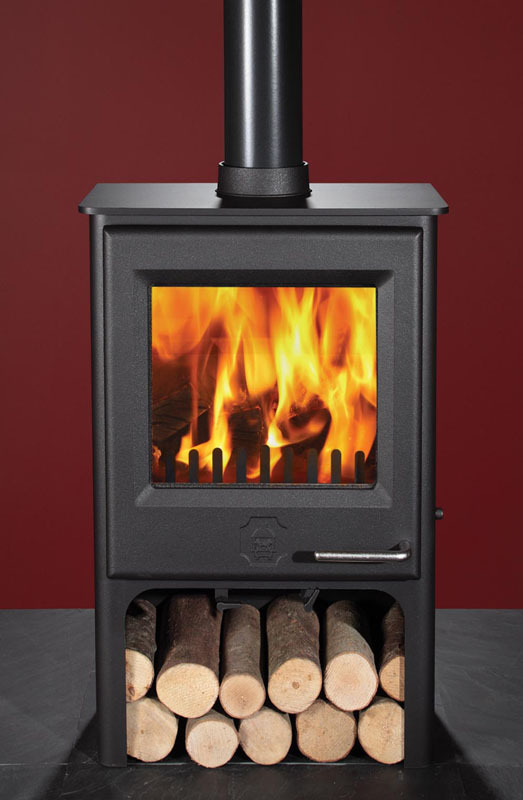 The Rais 700 woodburning stove is a DEFRA exempt stove. DEFRA is the UK government's Department of Environment, Food and Rural Affairs and in relation to wood stoves and multifuel stoves is concerned with smoke emissions in accordance with the Clean Air Act 1993. 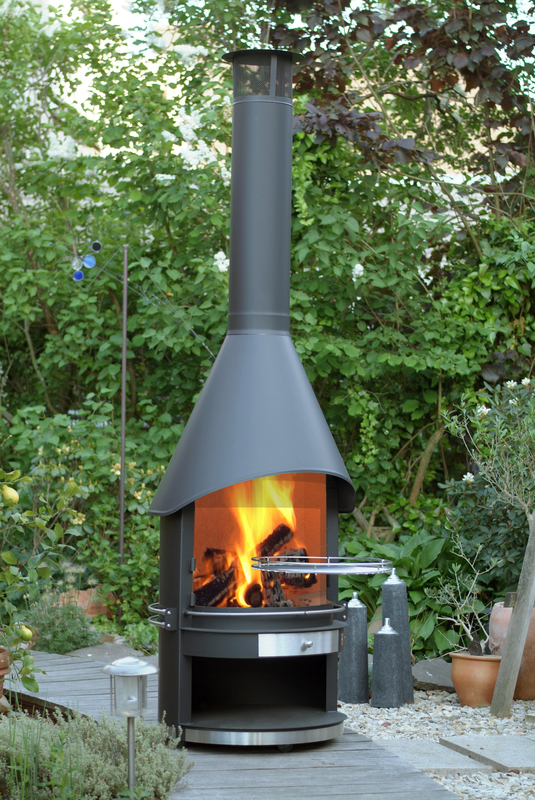 A DEFRA exempt stove is a wood stove suitable for the burning of wood in smoke controlled areas. 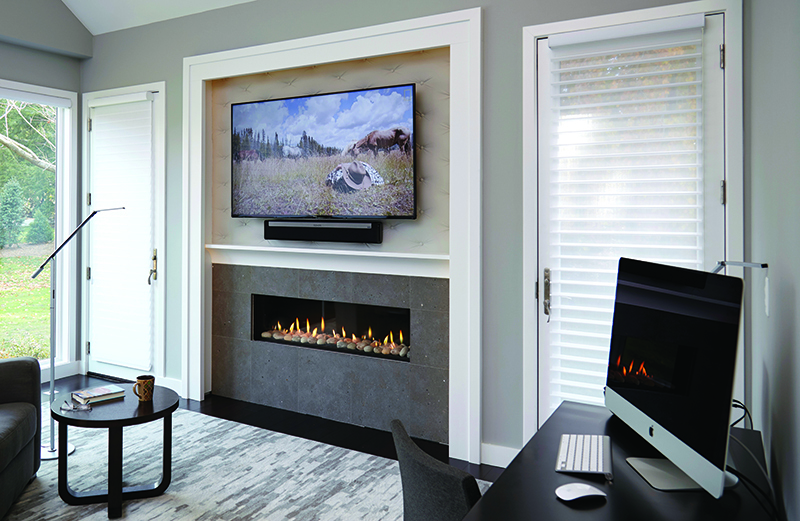 Get more information about the Rais 700 wood burning insert fireplace. The highly original installation plus the clear-cut shape of the majolica surround give the appliance a particularly innovative look. Installed with the MP938 wood pellet burning firebox. Brunner Architecture 45/101/40 RH corner firebox. 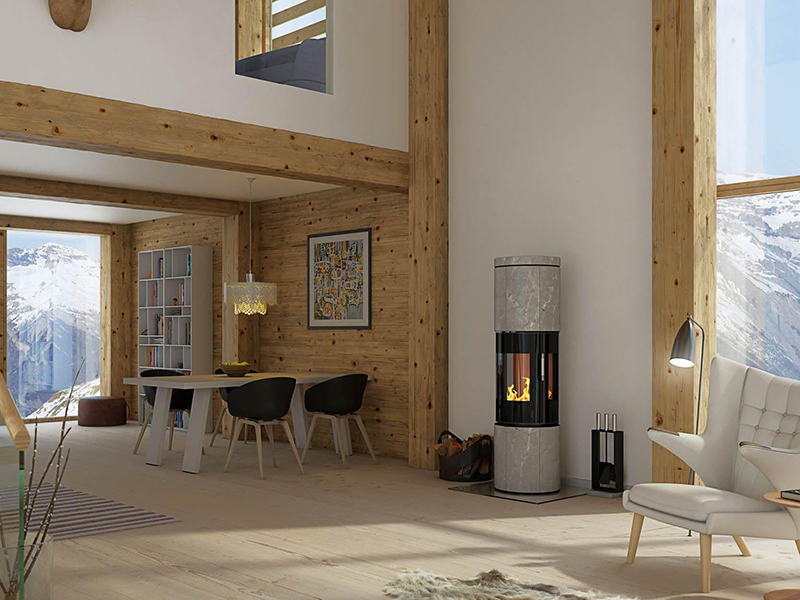 The corner format is recommended for a spectacular visual effect as it enables the full beauty of the log fire to be appreciated from any angle. 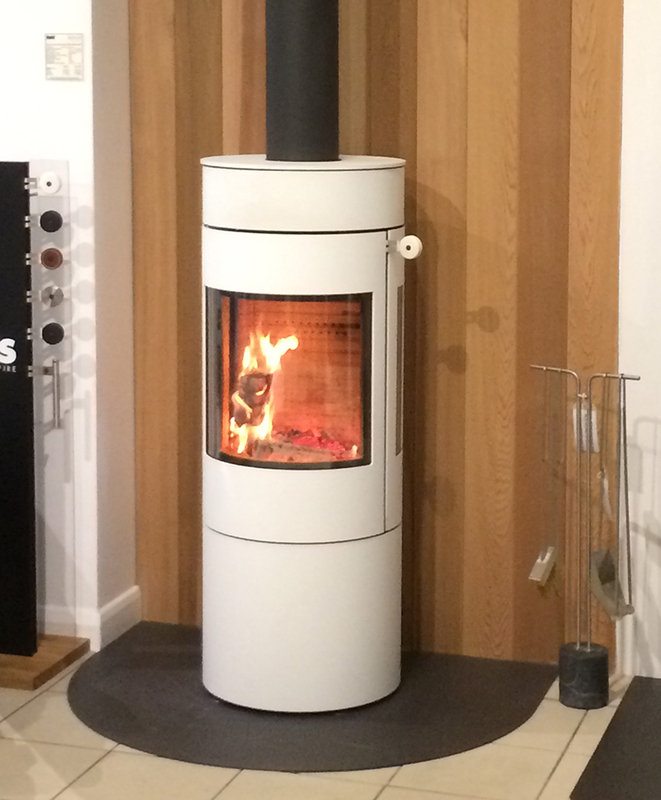 Brunner Urfeuer 50/88 open wood burning fire, with Rise and Fall spark screen. 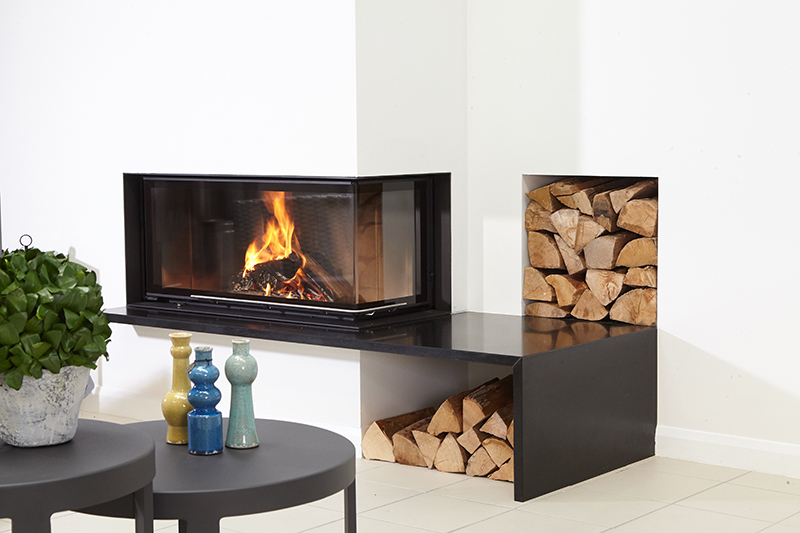 Get more information about Brunner Urfeuer here. Rais Viva L Gas Stove / Fire. Operation is simple. 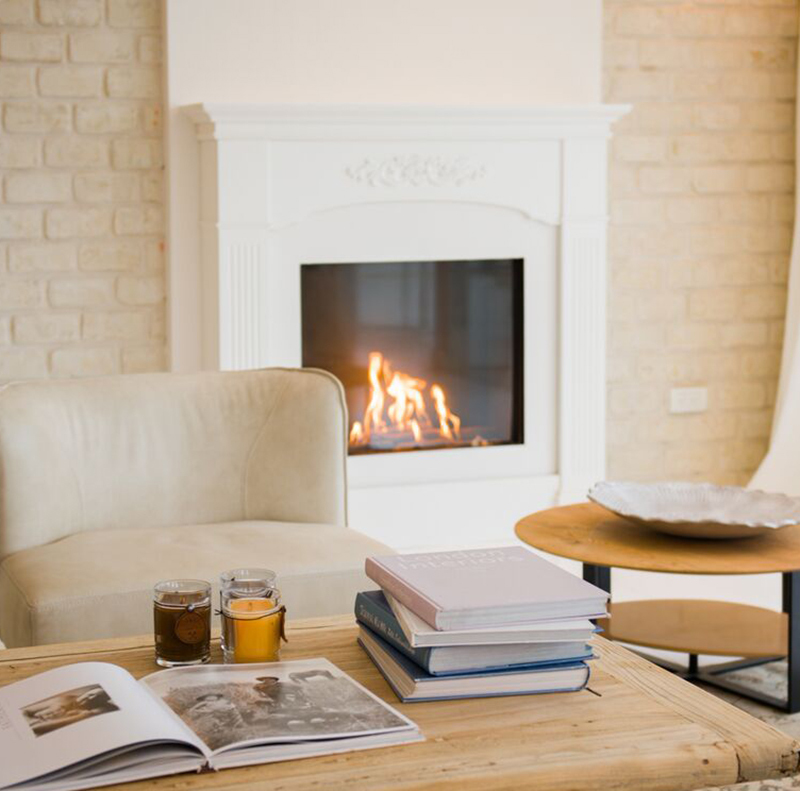 The remote control allows for easy adjustment between two heat settings and, on warmer evenings, you can even turn off the heat, relaxing in the cosy atmosphere created by the stunning flame-effect but without the additional heat. Clear 200 TS three sided Natural Gas Balanced Flue fire set in Limestone fireplace. 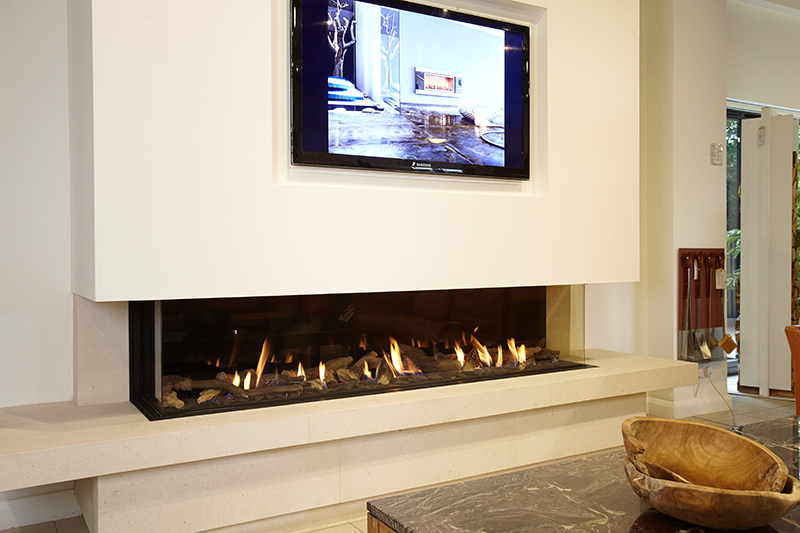 The Ortal Clear 200 TS Gas Fire is a frameless glass fronted balanced flue fireplace powered by Natural Gas or LPG. 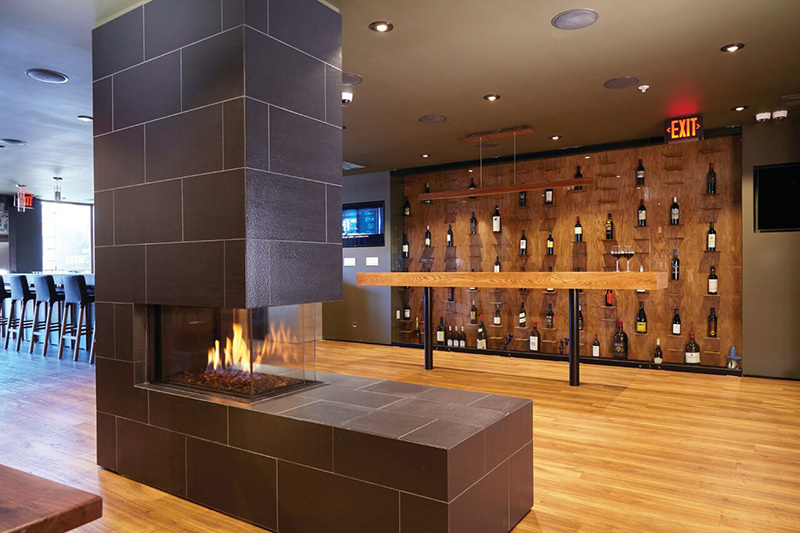 This fireplace makes a stunning impact with its contemporary design. The decorative bed for this attractive fireplace can include large or small logs and large or small pebbles, customised to your preference. 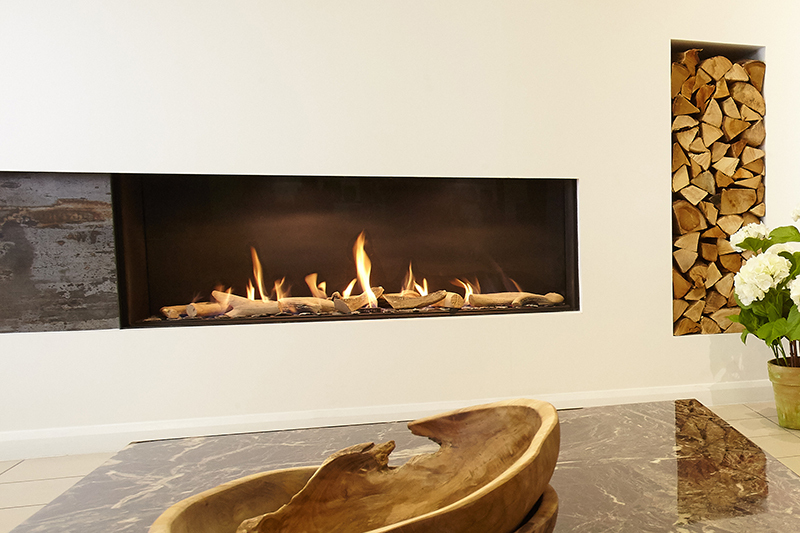 The Ortal 75 x 65 is a Balanced Flue Frameless Natural Gas fire. The decorative bed can include large or small logs and large or small pebbles, customised to your preference. Ortal Clear 100TS, balanced flue three sided gas fire with back reflecting glass. Ortal Space Creator 75 balanced flue gas fire with back reflecting interior glass. Ortal Island 80 balanced flue gas fire. Ortal Clear Front 130 balanced flue gas fire. Ortal Circle 70 balanced flue gas fire. Ortal Clear Front 130 balanced flue gas fire with internal lights. Ortal Island 130/50 balanced flue gas fire. Ortal Space Creator 120 Midi balanced flue gas fire. 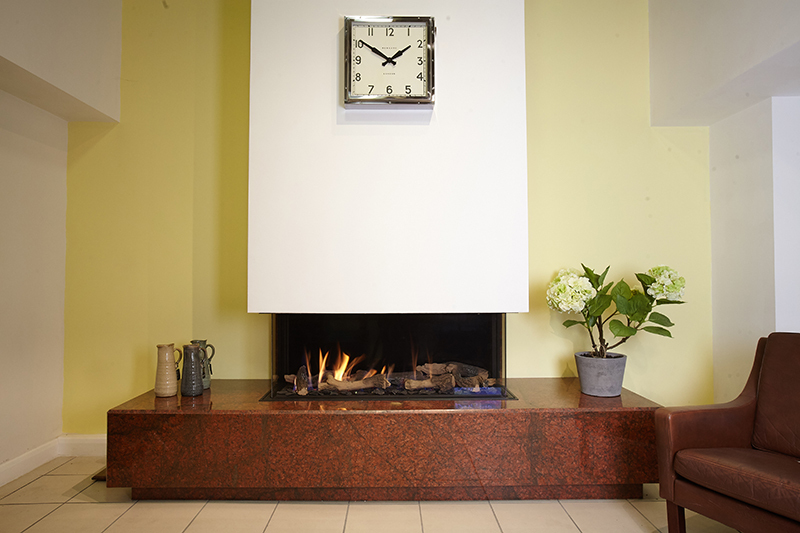 A Piazzetta Gallery fire surround with an IG 70 gas fire box. Gizeh outdoor fire, barbeque grille and log store combined. 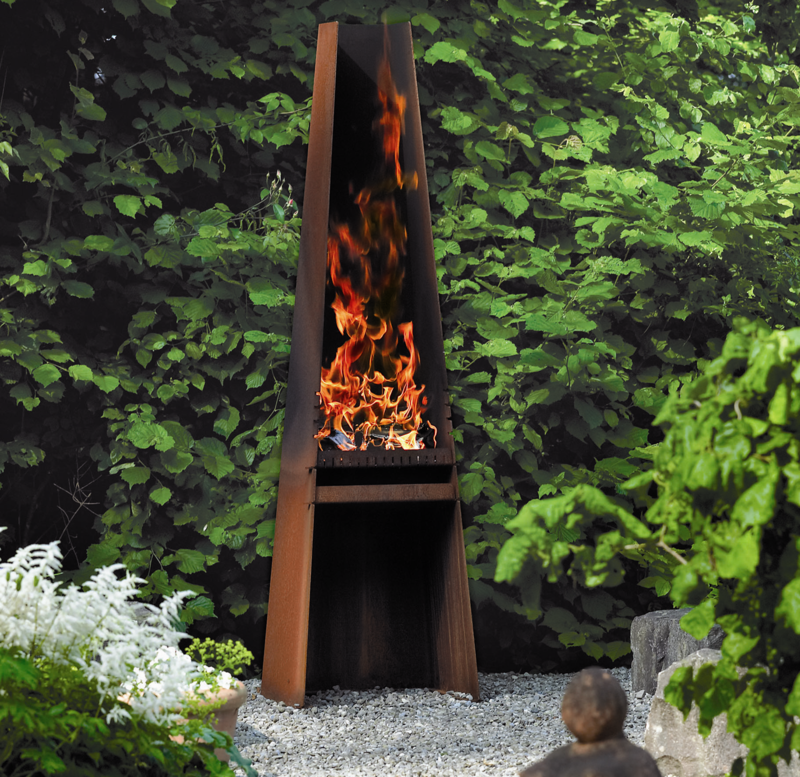 Get more information about the Rais Gizeh outdoor fire. La Ghiachiaia - The Icebox. 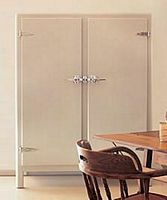 170cm tall double Fridge with Icebox or freezer. Cream and Chrome. A popular choice at Robeys is the beautiful La Ghiacciaia fridge from Meneghini, better known as 'Nigella Lawson's fridge' from the BBC 'Nigella Express' series. The La Ghiacciaia is available in a wide array of colours and finishes, in a single or double model and in various height options. The double door version comes complete with a large or small pantry or, if you wish, a double fridge. Get more information about the Meneghini La Ghiachiaia icebox. Robeys can help you to create a Meneghini La Ghiacciaia that's perfect for you and compliments your kitchen style. "The Icebox" is inspired by an Italian age-old tradition of keeping food fresh in a wooden box with blocks of fresh ice. Italian fridge makers Meneghini produce truly beautiful, solid wooden fridges and La Ghiacciaia is no exception.